Kimature was launched in 2015 and the brand’s portfolio comprises 92 sku of face care, body care and hair care (including different pack sizes of individual products). The cosmetics are all manufactured in Hong Kong and that alone is somewhat exotic; I don’t think I’ve ever come across a beauty brand that was actually made in Hong Kong rather than merely distributed by a HK-based company. 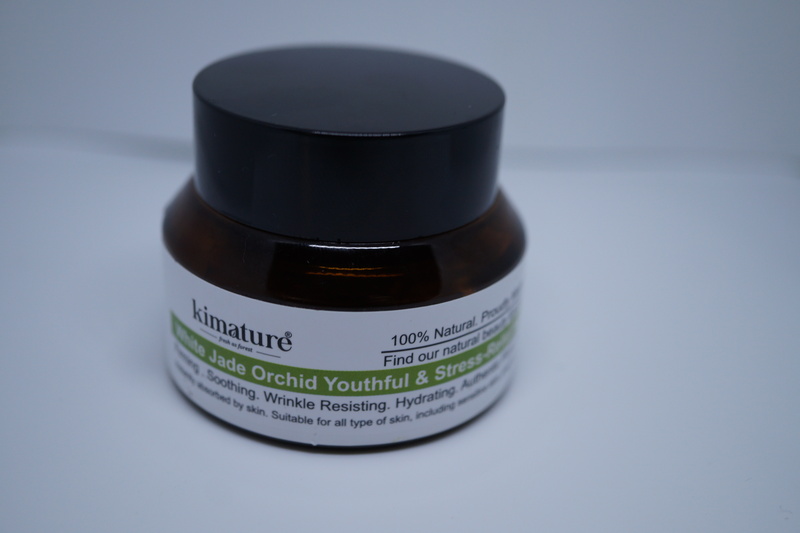 In addition, Kimature’s products are formulated with organic plant oils and traditional Chinese medicinal herbs like roselle, motherwort, mugwort or honeysuckle. Each beauty product is based on one key plant ingredient and most of the plants and herbal extracts are sourced from local organic farmers in Hong Kong. All products are vegan and alcohol-free and, of course, not tested on animals. 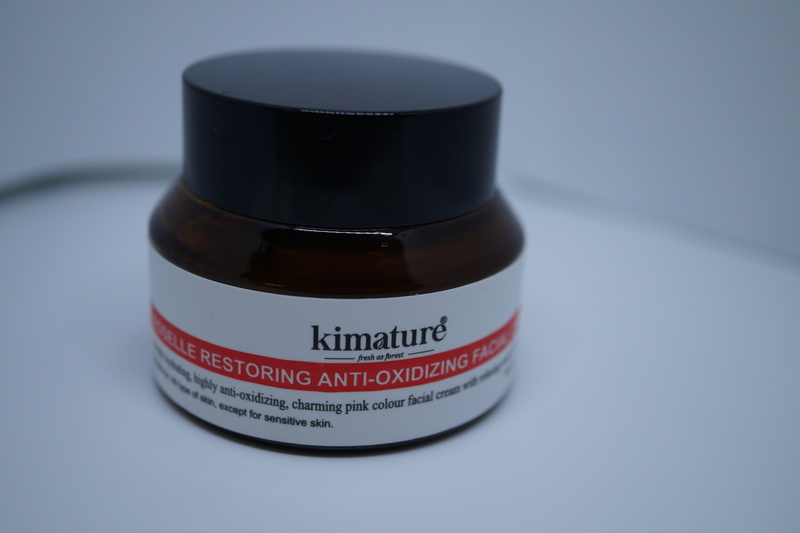 Kimature offers five product ranges in total. Traditional Chinese Herbal Skin Rescuer includes products for sensitive problem skin, such as dryness, exczema/dermatitis, itchy or sun-burnt skin. The second range is Traditional Chinese Herbal Sensitive Skin – basic face care products for sensitive skin. The third range is Traditional Chinese Herbal Body Care (body care products) while the fourth line is called Traditional Chinese Herbal Skin Special Care. The Special Care range includes anti-oxidant and anti-ageing products for more mature skin concerns. Each individual range is based on a specific herbal ingredient – Honeysuckle (Lonicera Caprifolium), for example, is a good plant for sensitive skin; the extract is claimed to soothe itchiness, reduce inflammation and calm down irritated skin. The Honeysuckle line includes a cleansing milk, a facial toner, a moisturising cream, a serum and a facial oil whilst the body care line-up offers a body oil and a soothing body liquid. Mugwort (Artemisia Vulgaris) is said to be particularly beneficial for oily and combination skin; this plant has balancing and resfreshing properties. The Mugwort range comprises a cleansing milk, a facial toner and a hydrating cream plus a liquid body wash, liquid hand wash, body lotion and shampoo. The Mugwort & Indian Mint range has been formulated for dermatitis-afflicted skin and offers a hand lotion, a body lotion and a body massage balm while Motherwort (Leonurus Cardiaca) is the key ingredient in a range of skin-brightening products. The Motherwort line-up includes a hydrating face cream and a cleansing milk as well as a body lotion and body wash. The Roselle (Hibiscus Sabdariffa) range offers anti-oxidant skin care products for mature skin, including a cleansing milk, moisturizing toner and face cream (see pic above), plus a hand lotion, a body lotion and a body wash. Finally, the fifth range is Oriental Aroma which will be launched in the first half of 2018. This line will comprise six fragrances – Ginger Lily, Frangipani, Sweet Osmanthus, Locust Flower, Jasmine and White Jade Orchid – with matching skin and body care products for each fragrance variant. There are also a number of products that do not fall under any of the above ranges, like the Mulberry Nurturing Essence (a hair conditioner) or the Coffee Handwash which is based on water, coffee grounds and coconut-derived tensides (the Coffee range also includes a Body Lotion and a Coffee Shampoo). 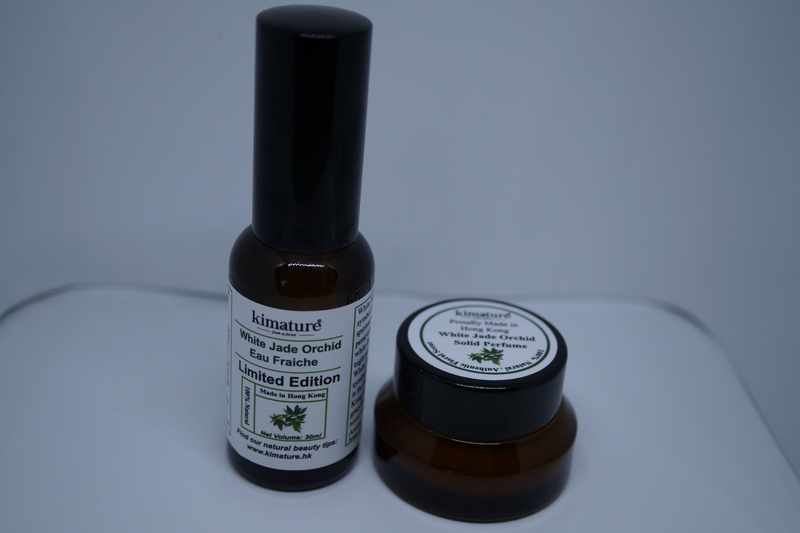 Kimature also offers trial sets of small product sizes and full-sized gift sets. The first Oriental Aroma sub-range is already on the market; it is Kimature’s newest product launch: the White Jade Orchid line (白蘭花 or Magnolia Alba, also known as “white champaca”) was launched just a couple of months ago. Kim told me that this tropical flower is a local favourite in Hong Kong and that many ethnic Chinese and Asians associate positive emotions and even childhood memories with the scent of White Jade Orchid. Magnolia Alba is cultivated in South East Asia and the more sub-tropical regions in East Asia (like Southern China, Taiwan and Hong Kong). The plant is considered a symbol of oriental beauty, purity and spiritual growth as well as perseverance – the flowering trees stand very tall and the creamy white flowers can survive heavy rains and typhoons. They magnolia alba trees bloom nine months per years but as soon as the blossoms are picked they last only a few days. In big cities across China (especially in the South of the country) elderly Chinese women sell these flowers on street corners in order to earn a little extra money. Because champaca is a night-blooming plant and the flowers close their petals in the early morning hours, local farmers have to pick the blossoms at night and deliver them to flower shops and flower markets at sunrise, so the flower is also considered a symbol of peace and solitude. And in terms of aromatherapy, the scent of champaca is said to be conducive to meditation and relaxation as well as promoting restful sleep. I think the last time I smelled champaca in the wild (so to speak) was somewhere in South East Asia, can’t remember where (perhaps Indonesia?) but that was a very long time ago. However, my scent memory very clearly retains the olfactory image of an amazing, unique, sweet, aromatic and voluptuous (yet not cloying) fragrance as it lingered in the hot and humid sub-tropical night. I love the scent of champaca blossoms. The White Jade Orchid range comprises a total of nine sku. The line-up offers the White Jade Orchid Anti-Oxidant Eye Serum (which retails at 498 HKD [around 50 Euro] for 10ml), the White Jade Orchid Youthful & Stress Relief Facial Serum (1128 HKD [around 120 Euro] for 30ml), the White Jade Orchid Massage Oil (298 HKD [around 31 Euro] for 50ml) and the White Jade Orchid Youthful & Stress Relief Night Cream (650 HKD [around 68 Euro] for 50ml). The range also includes the White Jade Orchid Multi-Functional Lotion (98 HKD [around 10 Euro] for 50ml), the White Jade Orchid Scent Bed Spray & Body Mist (228 HKD [around 24 Euro] for 150ml) and White Jade Orchid Brightening Nutrient Mist (168 HKD [around 17 Euro] for 50ml). In addition, there are two fragrance products: an Eau Fraiche fragrance spray (480 HKD [around 50 Euro] for 30ml) which is based on distilled water, white jade orchid hydrosol and white jade orchid essential oil, and a Solid Perfume (228 HKD [around 24 Euro] for 15ml) that is based on extra virgin olive oil, white jade orchid wax and orchid extract (see pic below). I was given several products to try and particularly like the White Jade Orchid Eau Fraiche and the Brightening Nutrient Mist which has an amazing fragrance! I spray the Mist on my face first and then some more into my hands and deeply inhale the scent before patting the liquid into my skin. I was intrigued by the light textures of the skin care products – the Multi-Functional Lotion is very liquid (almost like a gel toner, but with a milky colour) and feels very fresh on the skin. I imagine this is a very suitable product for Hong Kong’s hot and humid climate. The Night Cream is also light and comparatively liquid (then again I still tend to think of “night creams” as rich, thick moisturisers…) and provides hydration rather than lipids – again, a really good texture for sub-tropical climate conditions. 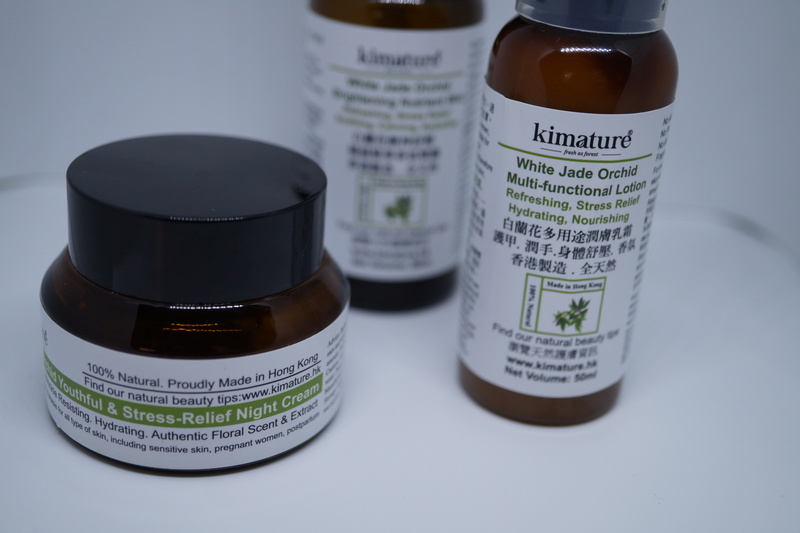 Kimature has a small retail outlet in the Kowloon neighbourhood of Hong Kong (204, Prince Edward Road West; Mong Kok) but most of the brand’s products are sold online through the company’s own webshop. These two distribution channels account for around 60% of annual sales. Another 20% of the company’s turnover comes from product sales in independent organic stores and online stores like HKTV Mall and Ztore. Ztore specializes in Hong Kong-made products (they also carry goods from other countries but the majority of items are locally made brands) – I wish Ztore had a bricks ‘n mortar store, too; their online product selection looks interesting. 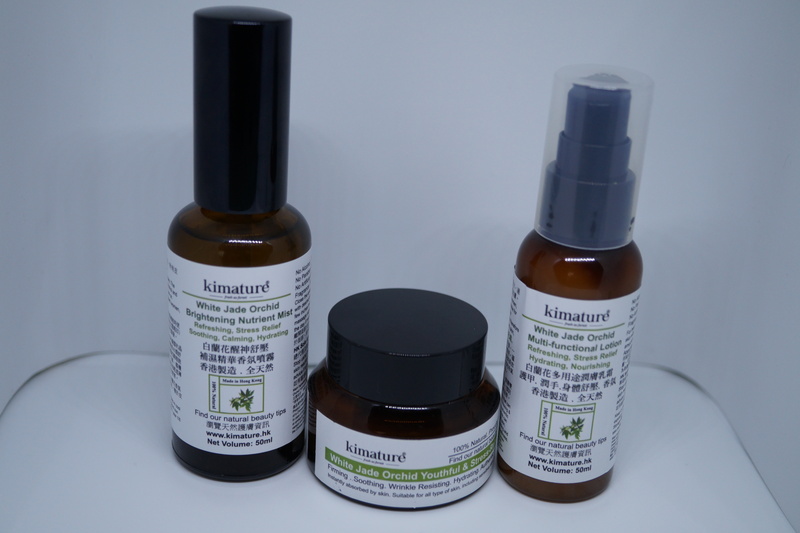 Recently Kimature’s products were launched in a Hong Kong-based Chinese Medicine Clinic Chain called Joyful and Health Chinese Medicine Clinic (怡健堂中醫診所) which generates another 20% of company turnover. One of these clinics is located in the Taikoo outlet of Eslite Spectrum – Eslite is a fabulous Taiwanese bookstore chain (and one of my favourite Asian retailers! ); you can read more about the company in this trend-traveller profile). In Hong Kong, Eslite operates three stores: Causeway Bay (Hysan Place shopping centre), Tsim Sha Tsui (Harbour City mall) and the afore-mentioned outlet in Taikoo (Cityplaza mall). In addition to books, magazines and other media, the Eslite Spectrum stores sell a wide range of lifestyle goods – foods, tea, local arts and crafts, gift items, interior design, fashion and accessories, stationery, toys and natural beauty products. Whenever I’m in Taipei I visit my favourite Eslite stores and I did notice that over the last couple of years, Eslite’s beauty selection is becoming progressively more organic (by which I mean that they seem to add more natural brands every year) and more local (with a focus on Asian natural beauty brands and the Asia-specific product ranges of international organic beauty labels). Long story short: A TCM clinic and herbal cosmetics fits in well with Eslite Spectrum’s retail concept. 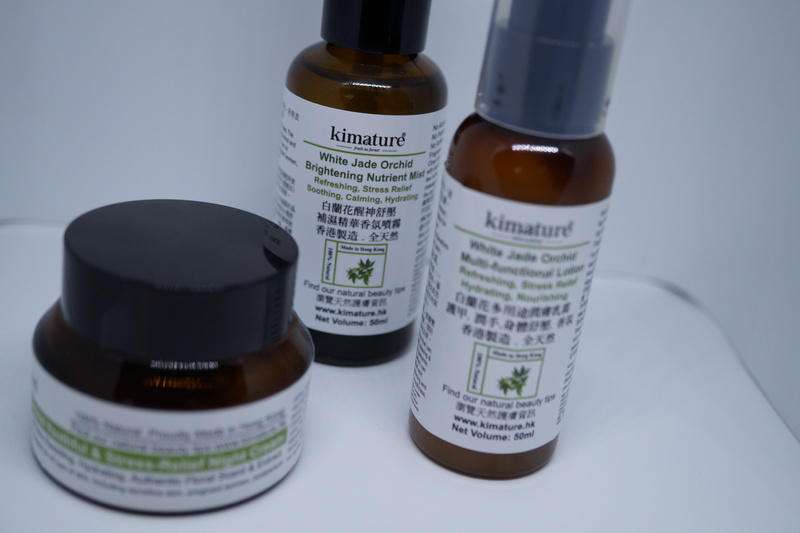 I really like that Kimature’s products are locally made and that the raw ingredients come from local farms in the Hong Kong area. Organic farming in Hong Kong (an enormously crowded city state with serious air pollution, a sub-tropical climate and frequent typhoons!) can’t be particularly easy. Which is why it so encouraging (not to mention inspiring) to hear about a brand story like this.